This time last week I was on the plane home after attending the MCON conference in Chicago, Illinois. Start to finish, I was really excited to be participating in a conference with a presenter line up, and audience, full of DO-ers. You see, in the community of people heard saying “I want to make the world a better place,” it can seem like there is no shortage of conferences to get people together and talk about just that – their desire to be a part of the response to today’s issues. The sentiment is lovely, but the execution can feel underwhelming as many times it can feel like an imbalance between the desire to do, and the actually doing. 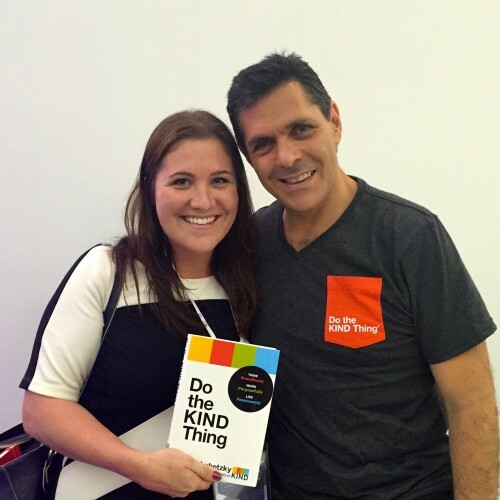 At MCON, I walked away feeling like I had just interacted with people who were waking up every day to DO GOOD. Perhaps the reason that MCON is more about actually doing than just talking about potentially doing is because it didn’t even start as an in-person conference. 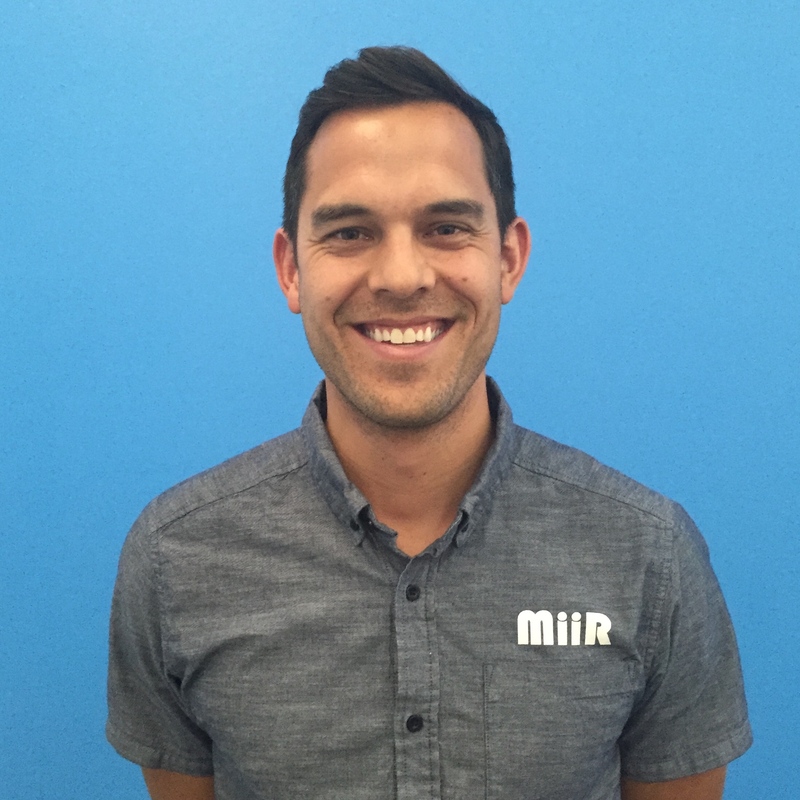 In 2011, MCON’s brilliant founder Derrick Feldmann and his excellent team of researchers at Achieve decided they would host an interactive online event to share their research on millennial engagement around causes. The event was a success prompting 2012 to double in participation, and grow in content to really strategize on how to connect with millennials effectively. Demand driven, 2013 brought the first in-person conference. 2014 and last week’s 2015 conference brought several hundred fortunate people together in Chicago, alongside many more thousands tuning in from home and work. The MCON conference lineup was back to back full of incredible leaders, from founders of small start ups to leaders of multi-nationals, and to the lead singer of the band O.A.R. (which I have a massive new respect for knowing how heartfelt and mission-driven of a person Marc Roberge). In a candid talk about his snack food company KIND and several other ventures for social change, he shared his appreciation for failure and humility as he’s grown his company through passion and a lot of hard work, and a strong vision “to make the world a little kinder one snack and act at a time.” I’m sure every person in attendance wanted to either hug him or work for him by the end of his time on stage, or perhaps both! Inspiring to meet such an incredible man full of good thoughts, strong work ethic, positive energy, and a bunch of other things that make KIND my new favorite snack brand!! 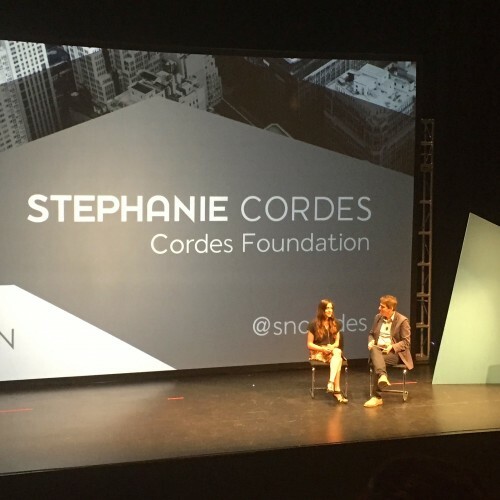 The reason I found out about MCON and one of my favorite friends on earth, Stephanie shared insights of the growing field of millennial philanthropy and the trends she has seen through her time as Vice Chair with her family’s foundation. With a special focus on fashion, Stephanie talked about this generation’s attention to conscious consumerism and desire to live their lives ethically and with attention to the greater community. Stephanie Cordes sharing insights on trends seen in millennial generation philanthropy and overall spirit of conscious living and consumerism. 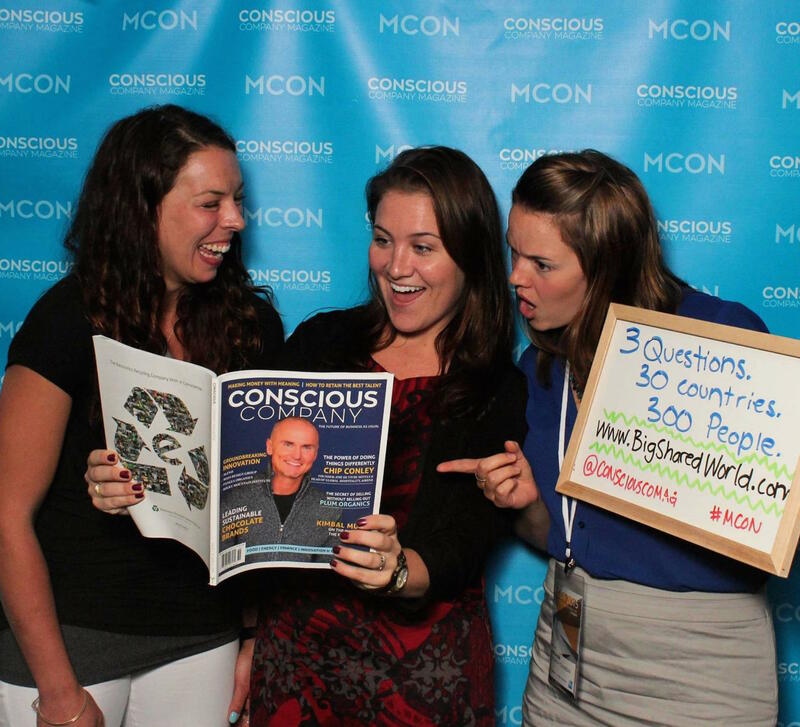 These two millennials had the idea to create a magazine that talked all about the trends, companies, organizations, movements happening in a world where consumers are focusing on the impact of the products they consume. Fiercely entrepreneurial and incredible examples of turning a dream into reality by just hitting the ground running, CC hosted a booth with their first three issues of the magazine. Beautiful, sleek, and full of awesome info – get your copy today at Whole Foods across the US! Having a blast with the CC co-founders at their #MCON photo booth! Enjoyed chatting with Bryan Papé about his awesome company and excellent BSW insights. Even the volunteer ushers were amazing people, such as El Chen from University of Michigan who has spent her time curating prison art exhibits where some of the images had me totally breathless. Hopefully more to come on this in BSW Voices! https://bigsharedworld.com/wp/wp-content/uploads/2017/01/11425123_10206406867223954_3748190113109761669_n-1920x800.jpg 800 1920 Colleen Waterston http://bigsharedworld.com/wp/wp-content/uploads/2018/12/bigsharedworld-logo-horizontal.png Colleen Waterston2015-07-02 19:38:032015-07-02 19:38:03#MCON: Exploring "The Power of Influence"
Big Shared World began with the curiosity of one person who wanted to learn from the perspectives of people in different places and cultures. 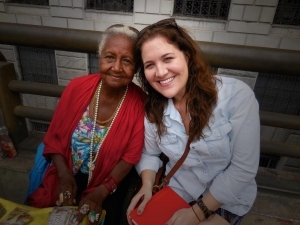 The experiences of that journey linked one person, Colleen Waterston, with many who shared that same passion for cross cultural community and understanding. Get notified about the upcoming book and happenings with Big Shared World. ©2019 Big Shared World. All rights reserved. The Feeling of “Never Enough” Grounded Girl, Taking Off.